Singapore is full of hidden gems, you just got to look for them. At the 2nd storey of Tanjong Pagar Plaza houses Flourish Pastries, a new pastry place specializing in puffs, tarts and quiches. 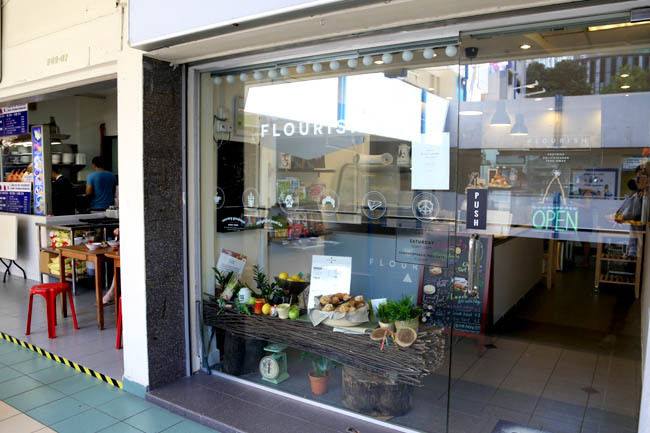 Flourish Pastries will be familiar to fans of Village of Shueu Puffs previously from Chinatown Food Centre, and owner Serene Mok fulfilled her dreams in getting a shop space of her own. The name “Flourish” comes from the basic ingredients of her bakes, essentially flour; and verses from the bible where she hopes her dreams will “flourish like a flower of the field”. 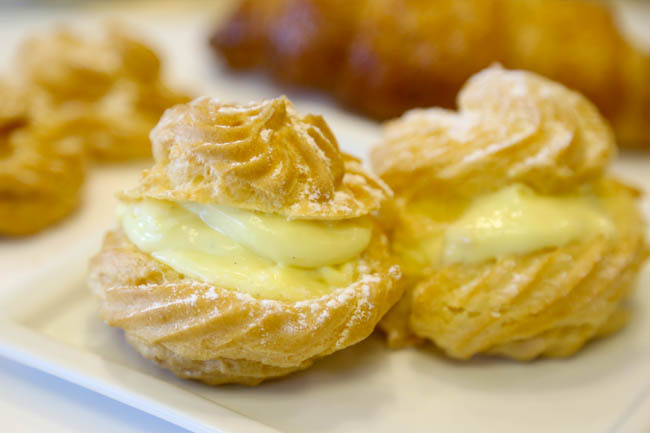 During my visit, Serene and two other helpers were busy churning out hundreds and hundreds of choux puffs, which she supplies to other cafes and restaurants. With a small shop space, they got a bit flustered when a guy with a big camera shows up. I was amazed because there was only a mid-sized oven to handle all the bakes. “We have to plan our time really well”. The Classic Vanilla ($2.80) is her pride, made with real vanilla pods, does not contain any custard powder, all hand-beaten (yes, no machine!) for about 30 minutes per batch. Goodness! Yes, I also saw them baking the almond croissants eight by eight. 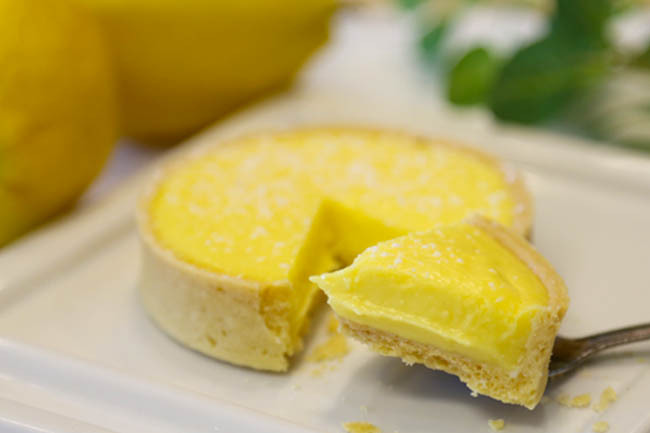 Flourish’s Lemon Tarts ($3.80) are pretty different in that same style as well, with a smoother texture for its fillings. 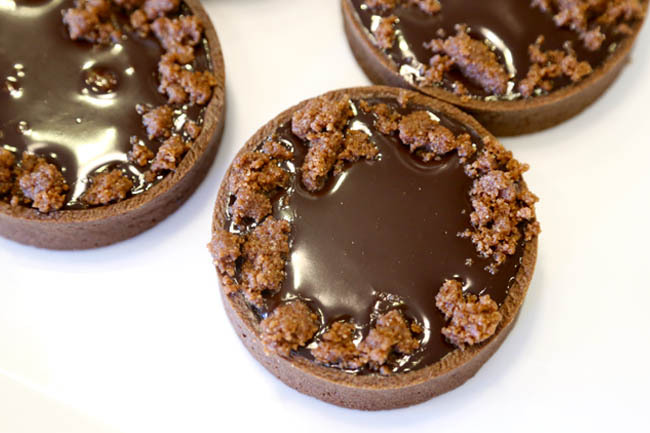 Taste-wise, the tarts are not as lemony or tangy as what you would have expected. Serene wanted to strike a balance, and did not want the lemon to overpower everything else. In my opinion, its buttery tart crust – not overly brittle or sweet – was almost perfect. A former vice-president of a financial organisation, Serene was inspired by a heritage patissier in Paris, and a self-taught chef in Japan. 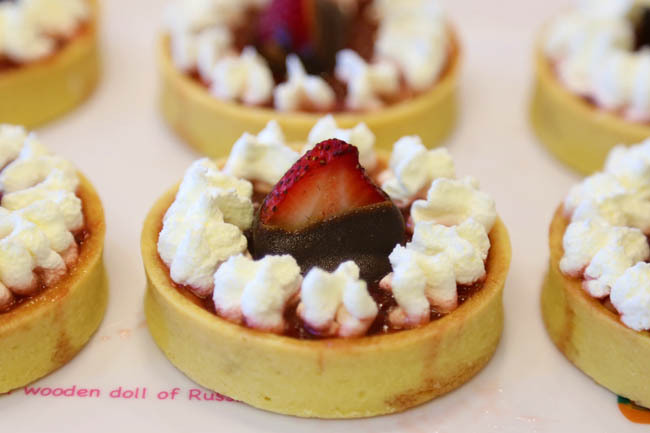 Her puffs and tarts can be considered as very down-to-earth, without all the fanciness, all hand-made with passion. May the shop flourish.